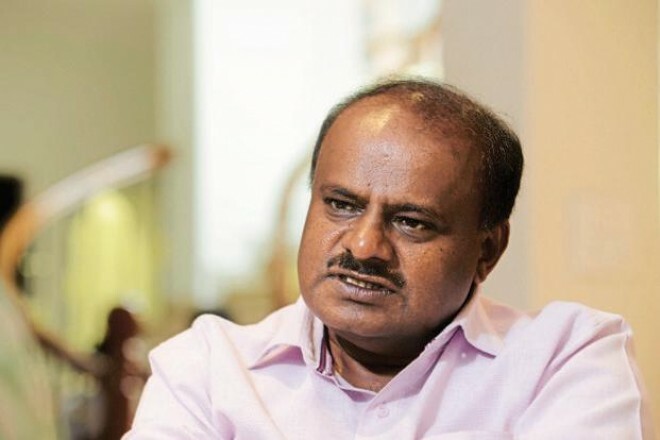 Bengaluru, Apr 22: Four JD(S) workers from Karnataka, who were on a visit to Sri Lanka, have been killed in the multiple blasts in the island nation, according to Karnataka Chief Minister H D Kumaraswamy. "I am deeply pained at the loss of our people in the #colombo attacks. Out of the seven missing after the #TerrorAttack, four have been declared dead...," Kumaraswamy tweeted. The dead are Lakshmana Gowda Ramesh, K M Lakshminarayan, M Rangappa and K G Hanumantharayappa, he said. Three other JD(S) workers have gone missing after multiple blasts, he added. The missing party workers are H Shivukumar, A Maregowda and H Puttaraju, Kumaraswany said. The State Chief Secretary's office is in constant touch with the Resident Commissioner at Karnataka Bhavan located at New Delhi, he said. The office is also in touch with families of the victims and the missing people for further information on them, the chief minister said. Kumaraswamy said he was deeply pained at the loss of their lives in the heinous attack. "They were also committed workers of our party and their death has brought immense sorrow to us," Kumaraswamy said. The Karnataka chief minister said he was with their families and prayed to the Almighty to give strength to them and their near and dear ones to bear the grief. A string of eight powerful blasts, including suicide attacks, struck churches and luxury hotels frequented by foreigners in Sri Lanka on Easter Sunday, killing over 290 people and shattering a decade of peace in the island nation since the end of the brutal civil war with the LTTE. Kumaraswamy had on Sunday strongly condemned the terrorist attack, saying terrorism is an act of cowardice and an attack on humanity. "Terrorism is an act of cowardice and an attack on humanity. I strongly condemn the #TerroristAttack in #Colombo, Sri Lanka, where over 150 people have been killed and more than 300 injured," he had tweeted.